Feinstein Fellow Estarlyn Hiraldo ’21 in the culinary center at the Genesis Center. Story by Liz F. Kay. Photos by Nat Rea. After nearly 25 years, the Feinstein Institute for Public Service has adapted to meet the evolving needs of community partners, student learners, and the world at large. The Feinstein Institute for Public Service’s Feinstein Community Fellows Program exemplifies a changing direction for it and its partners. For nearly 25 years, the institute has tackled the problems facing our world through campus-community partnerships. The institute handled student placements for service-learning courses, in which participants apply what they’re learning in classes to community service and reflect on their service in the classroom. 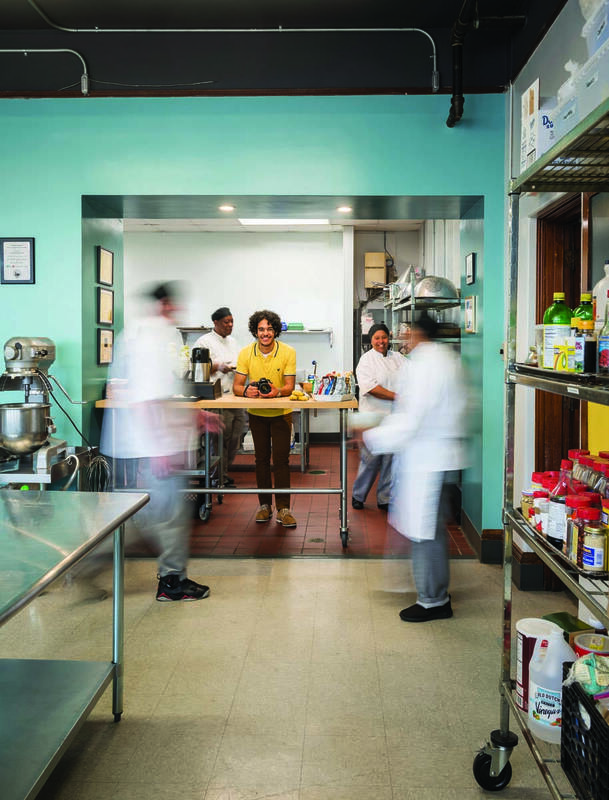 Last spring, however, the institute piloted a new model, matching 11 students with community partners such as nonprofit organizations and schools for 8-10 hours a week. The program was such a success that the institute decided to expand, and in the fall 21 students will partner with 14 organizations. After two decades, “we were feeling like our work was stagnating,” said Dr. Richard M. Battistoni, professor of political science and of public and community service studies and the institute’s founding director. In 2017, after a two-year self-assessment, the institute adopted a new statement of purpose, committing itself to three major issues: dismantling racial injustice and inequity; combatting poverty and economic inequality; and enhancing the capacity of young people to reach their highest aspirations. “We decided we needed to address the core questions being asked in our community and on our campus, from our students and from our faculty,” Battistoni said. At the same time, community organizations were asking for a smaller number of volunteers who could dedicate more hours. The result was the Feinstein Community Fellows program. Fellows participated in two-hour cohort meetings every other week. During those meetings, the students developed a shared community through deep conversations, learning from other’s experiences and from guest speakers, said Meg Griffiths, associate director of the Feinstein Institute. “Our goal is two-pronged — really deepening community impact, while also facilitating transformational learning for students,” she said. Fellows receive $1,000 Feinstein tuition scholarships. In addition, most of the pilot participants earned federal community work study funds. Community partners also appreciated the fellows’ contributions. “This is a real responsibility for them and it’s intentional time in which we’re setting collective goals. 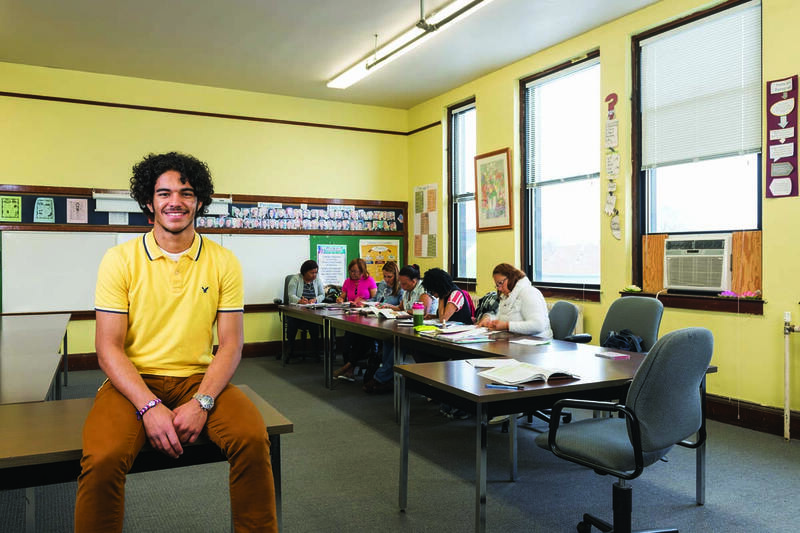 The impact is much more integrated into the entire school,” said Dulari Tahbildar, director of programs and partnerships at 360 High School in Providence. Bonnie Taylor of the Genesis Center, a nonprofit that assists immigrants, agreed. “The old model seemed better for students … it was more work on our end and less helpful than the fellows model,” she said. The students who participated in the pilot said they grew from the experience. After the conclusion of the program, more than 90 percent said the fellowships increased their understanding of issues of racial equity and social justice, and all of them increased their capacity for critical reflection. Rodelyn Cherry ’19 works with students at Sophia Academy. As a Feinstein Fellow, Rodelyn Cherry ’19 taught African dance at Sophia Academy and co-taught a gender and justice seminar. Rodelyn Cherry ’19 (Brockton, Mass.) knows how different the Feinstein Fellows program is from the traditional service-learning model she experienced in her Public Service 101 course. Cherry loved teaching English as a Second Language courses at Carroll Tower, a senior housing complex on Smith Street. It inspired her to minor in public and community service studies and to pursue the community health track in her major, health policy and management. 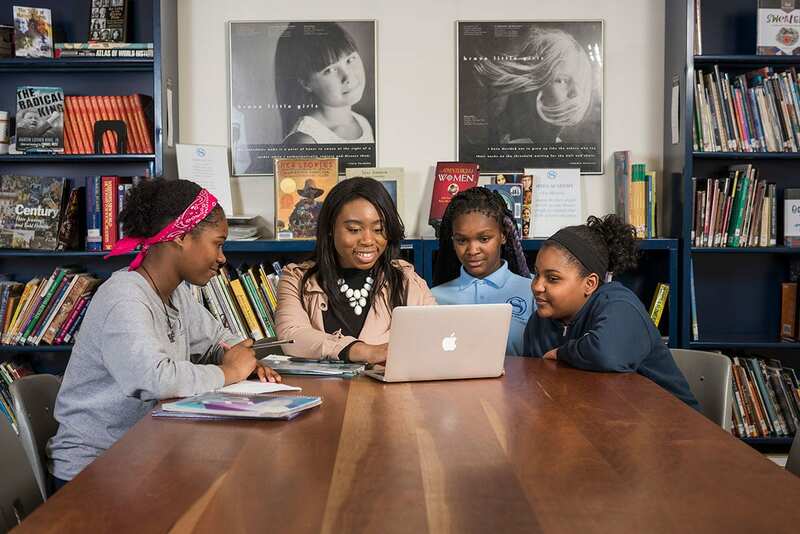 When she later took Community Organizing, a public service course taught by Kerry Bergin ’09, Cherry designed a project for Sophia Academy, a middle school for low-income girls where Bergin worked at the time. “I wanted to teach young kids about African dance and multicultural dances,” said Cherry, the president of Motherland Dance. Bergin served as a liaison, and Cherry taught dance in the fall. Then, through the fellows program, she taught dance at Sophia in addition to co-teaching the gender and social justice seminar for eighth-graders with Sophia’s head of school. For its fellows program, Feinstein “really listened to the needs of the community and the needs of the students,” Bergin said. Estarlyn Hiraldo ’21, a Feinstein Fellow, worked at the Genesis Center. The fellows program gave Estarlyn Hiraldo ’21 (Lawrence, Mass.) an opportunity to get to know Providence. Hiraldo, a sociology major who plans to minor in film and business innovation, said he was “instantly interested” in the Feinstein Fellows Program when he received an email about it from Dean Ralph Tavares ’01, dean of multicultural education. He had often done community service while growing up and wanted to discover the city and its residents. “I really wanted to get the chance to learn about Providence and the people that lived there and branch out more, outside the PC boundaries,” he said. “I wanted to live in the present and see what people were about. The Genesis Center, an adult education and workforce development center, needed marketing help. “That seemed like an opportunity for me to learn things outside of the classroom and still be able to pursue my dreams and aspirations,” Hiraldo said. At Genesis, he solved problems, such as developing a social media calendar of what to post and when. He also researched local media and used his design skills to create poster templates for courses and events. “The standard and structure he set up is going to be really helpful for us going forward,” said Tyla McCaffrey-Pimentel, adult services director at Genesis. Hiraldo’s work for Genesis had special meaning because the nonprofit serves many immigrants, and he himself moved to the United States from the Dominican Republic at the age of 10. Feinstein Fellows Junielly Vargas ’21 and Christina Roca ’21 helped students prepare for college at 360 High School. Christina Roca ’21 (Stamford, Conn.) and Junielly Vargas ’21 (Lawrence, Mass.) worked together on college readiness projects at 360 High School in Providence. The pair planned a “College Day” visit to PC for students from 360 in addition to individual projects. 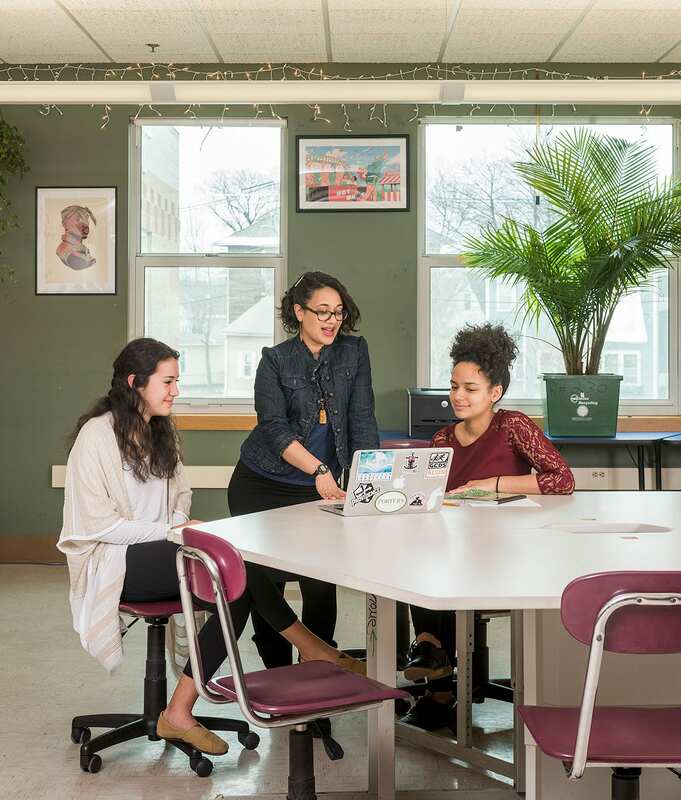 Christina Roca ’21 (left) and Junielly Vargas ’21 (right) work with Dulari Tahbildar, director of programs and partnerships at 360 High School in Providence. Roca, who is majoring in global studies and sociology, said she’s always been very passionate about community service. 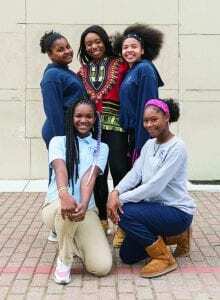 “I knew I wanted to be involved in the Providence community — not just in the school, but also outside the school,” she said. A first-generation college student, Roca wanted to work with 360 High School because she had experience as a peer mentor and working with people of color and low-income families. 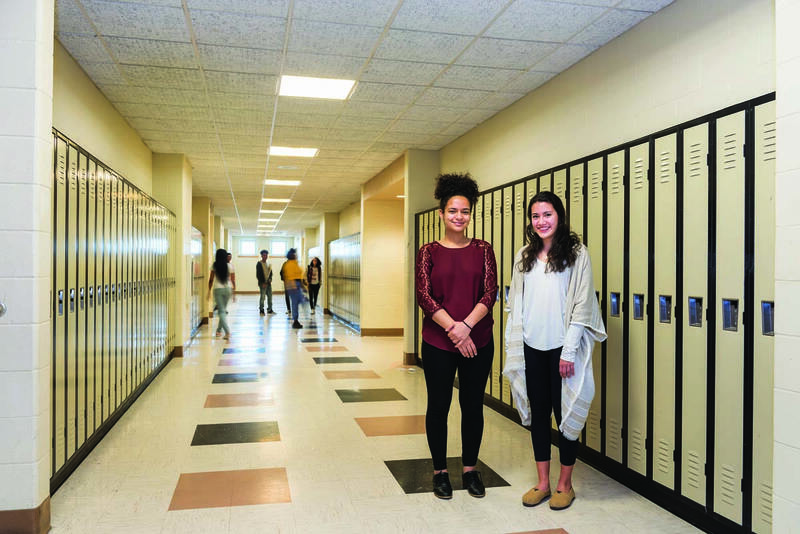 “I knew, that based on my experiences, I was going to be able to guide the students there,” she said. She worked on creating lesson plans and a curriculum for 360’s students from freshman to junior year. Over the summer, Roca worked on developing a curriculum for the senior class. In the fall, she’s working on adapting what she’s created to see what worked and what didn’t. “The most important part of my curriculum is getting them to ask questions about the process,” Roca said. It was the public and community service studies major that attracted Vargas to Providence College. She had already done a lot of community service, volunteer work and engagement, so “when I found out I could basically major in that, and get a job in that, I was like, ‘this is it,’” she said. Vargas decided to choose 360 High School as her first choice when she applied to be a fellow, because she had worked on a public education reform campaign that had a mission very similar to that of 360. She coordinated college visits for 50 students to seven schools in Connecticut, Massachusetts, and Rhode Island. Roca and Vargas consulted college planning curricula used at their own high schools and by other institutions to plan for 360. “They’re taking the best of what exists and really customizing it for our community,” said Dulari Tahbildar, director of programs and partnerships at 360. Of all the aspects of the fellowship program, Vargas found the cohort meetings most inspiring.